Career’s End For Viktor Korchnoi? The great Viktor Korchnoi is reported to be in such poor health after a recent stroke that he may have played his last competitive game of chess. FIDE publishes January 2013 FIDE Rating List. The list of top players is published at Top lists page of FIDE ratings website. All players can check new ratings at the main page of FIDE ratings website. Here is an older video I made but not shared on the blog yet. 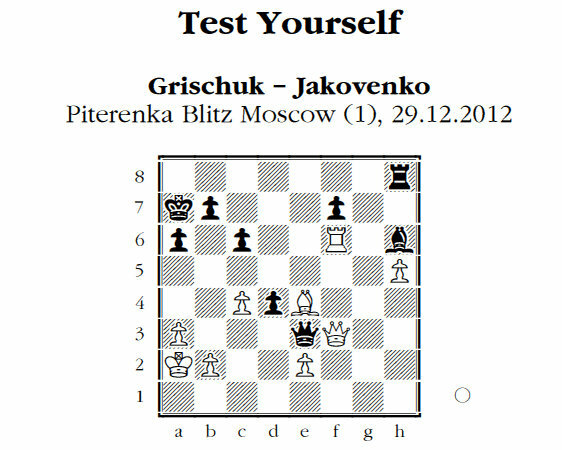 The opening is the Panov attack, where Black plays a sideline. I get nice pressure in the opening with an isolated pawn structure but miss some nice opportunities. In the endgame White ends up with active rook on the 7th rank, supported by two bishops as compensation for a pawn. When Black’s ‘a’ pawn falls, the fate of the game is sealed. You are currently browsing the Chess blog archives for December, 2012.